Rounding Up Your Mortgage Payment: Does It Actually Work? There are all sorts of gimmicks, tips, and tricks out there to pay down the mortgage a little (or a lot) quicker. And one that sounds relatively painless is the simple rounding up of one’s mortgage payment. So if you owe $1,550 each month, paying $1,600 instead could make a sizable dent in your mortgage over the years, thereby reducing the term and savings you lots of money in interest. 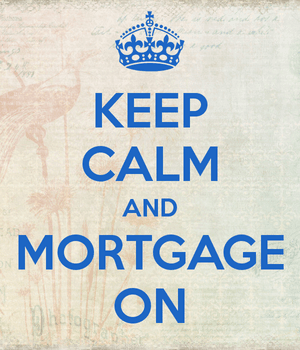 But just how effective is rounding up your mortgage payment? Let’s take a look at a couple potential scenarios to find out. First off, you need to take a look at your actual monthly mortgage payment. If it’s $1,599 a month, rounding it up to $1,600 will do virtually nothing to save you money on your mortgage. Conversely, if your monthly home loan payment is $1,501, bumping it up to $1,600 will lead to considerable savings. Of course, if you have to increase your payment by nearly $100 a month, it’s no easy task, especially if you have other expenses to worry about, or high-interest debt that needs to be paid down/off as well. So let’s say you’ve got a $200,000 mortgage, and your required monthly mortgage payment is $954.83. For many people, $45 bucks could be negligible, small enough to go unnoticed each month. Yet by making that $1,000 payment as opposed to $954.83, you’d save $13,606.49 in interest over the life of the loan and shave nearly 2.5 years off the term. Not bad for paying a little bit extra each month, right? In this scenario, you’d pay off the 30-year loan only 1.5 years earlier, but you’d save nearly $25,000 in interest over the term. The interest savings are larger because more interest is due on a larger loan, but the term isn’t reduced as much because the rounded-up payment is smaller relative to the larger payment at this loan amount. Still, $25,000 in savings for paying an extra $67 bucks a month ain’t too shabby. All said, the savings will vary based on a number of factors, such as how large the loan is, what the interest rate is, and how much larger the rounded-up payment is. It also depends on when you start rounding up, and how often you do it. If you only round up your payment every other month, or if you start several years after your loan term began, the savings will be reduced. Another potential flaw to the round-up method is that it takes discipline, unlike say a 15-year fixed or shorter-term loan where the higher payments must be made each month. In other words, if you don’t stick to the plan and round up your payments each month, the savings won’t be realized. Of course, this can be a godsend too if money gets tight and you no longer have the extra cash to make slightly larger payments. So there are some obvious pros and cons, but rounding up mortgage payments does work, and it can save you thousands in interest, while allowing you to own your home free and clear a bit earlier. Be sure to do the math for your particular loan to see if it makes sense. You might find that your extra cash is better off somewhere else. Read more: Should you invest your money or use it to pay off the mortgage? My mortgage payment is nearly at a whole number, but I did the math and found that even a $25 extra monthly payment sheds about $7,500 off my total interest expense. It adds up!